Click the button below to add the Mondraker Foxy Carbon XR 2017 Mountain Bike to your wish list. 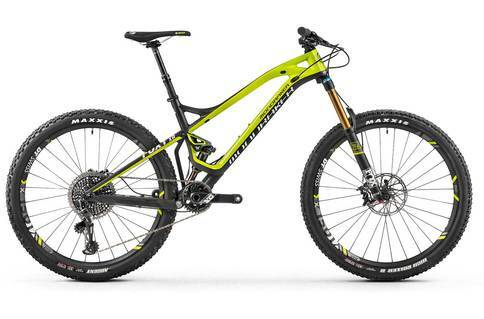 Clearly the best balanced Mondraker bike, The perfect bike for global mountain biking today. Foxy carbon started a new era of hi-end carbon manufacturing technology raising the Mondraker brand to the next level. The Foxy is the bike of the other half of Mondraker's staff. The Foxy was the first model in Mondraker's impressive lineup to get the carbon treatment. This all-mountian slayer is an all-day Enduro rig, super light carbon frame and enough strength to handle the downs. The Foxy has a shorter travel than the Dune but don't be fooled its capability far outstrips its on paper values.